Leading the way is Claud Biemans and she's not looking for lost property, she is searching for plants - and yes, there are plants even here. On first blush the streets of Ghent seem rather bereft of vegetation - but looking around more carefully you realise that there are actually plants everywhere; tiny ones between cracks in the pavement or quite sizable specimens hiding from human and mechanical street sweepers. Like this majestic maize plant the team encounters, appearing almost magically from the narrowest of cracks, defying all odds. There is more… From the sides of canals rich bouquets of ferns grow like forgotten hanging gardens; here also asparagus and figs can be found. Potatos sprout behind a lamp post, oregano grows amidst the grass: the city of Ghent has many unseen treasures. The storm drains are a discovery in themselves. Below their iron grids a shadowy damp world harbors fantastic fern displays. Protected from the carnage of street life above, they wait patiently for the times when the city becomes deserted to rise out of the shadows. 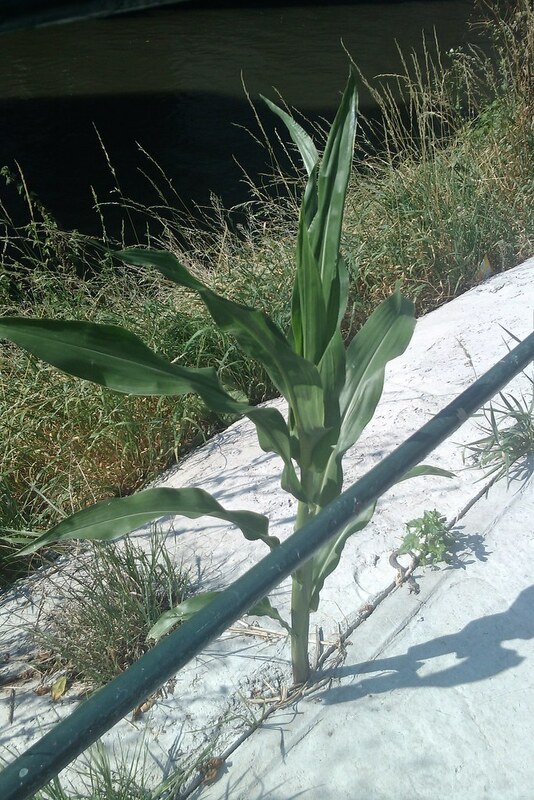 Along the canal we discover a plant with almost magical powers. This plant from the familiar lettuce family is known as the compass lettuce. When it receives a generous dose of sunlight its leaves rotate to allign themselves along a north-south axis. In fact several of these compass lettuces appear to be living here and the team take a sample to bring back to the patabotanic lab for further investigation. Towards the end of the afternoon, with all their data collected, the team decide to head back to the lab. But just at this point an unbelievable discovery is made. 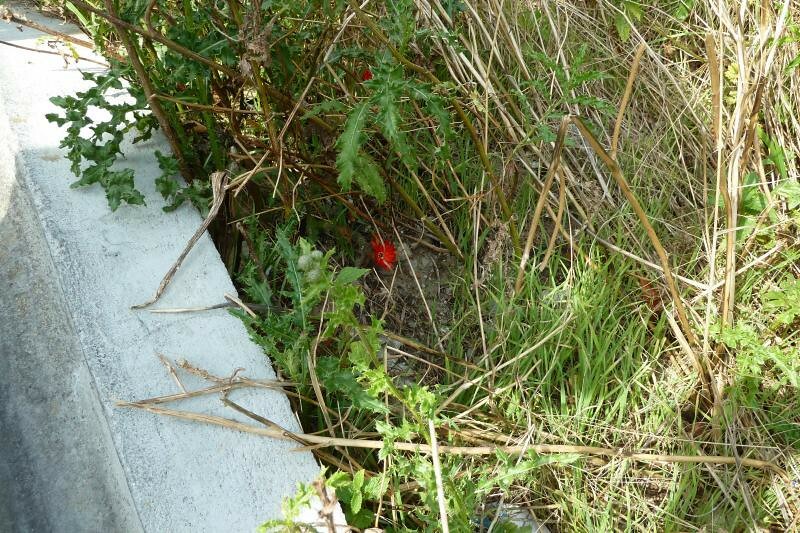 Underneath some herbs in a sandy corner beside some stairs, a strange red flower is spotted. This must be a leftover from some plastic flower display… Hands reach through the undergrowth and when the flower is gently plucked, we realise with astonishment that this is a real flower! In fact it's a flowering cactus! And wait, it is connected to another cactus bulb! Gradually it becomes apparent that this fellow has been living here for a considerable amount of time. 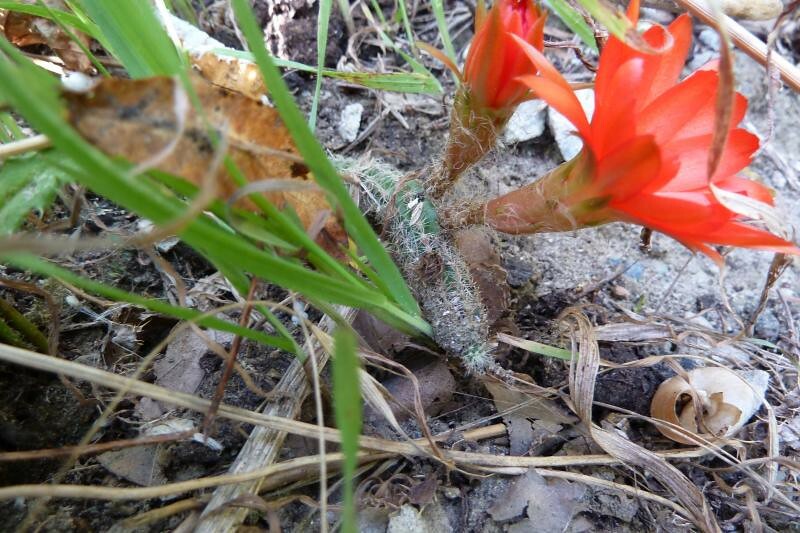 The plant is spread over a small area and somehow survives here, and indeed does more than merely survive - it boasts several beautiful red flowers. This must be recorded! The team gets out a camera and documents this exotic discovery. High on adrenaline the group returns to the lab. What an eventful expedition this has been!